10 Necessary android apps for babysitter and parents - Apps for nanny! With the ever-growing burden of jobs, carrying the responsibilities of a parent has become much harder. At times, you will need the help of another person. The person needn’t always be a nanny, and a normal babysitter will work just fine for the job. All you want is someone who can take good care of your child, while you are away. And thanks to today’s technology and android apps for babysitter, you can send over the right schedule for your babysitter to follow with the toddler. Why do you need Babysitting Apps? With a tight schedule at work, it is difficult for most parents to take out time and handle their children. Especially working mothers, who have the responsibility to handle both job and the home, the burden is quite significant. This burden is greatly lifted by a babysitter, choosing the right one, supplying them with the right schedule and tracking their activity is extremely important for your child’s welfare. In order to do this, it is important to make use of the best android apps for baby. Following are the list of some of the finest android apps for babysitter. Most (if not all) of these apps are available for free, and can easily be downloaded from Play Store. Have trouble controlling the child? Is the kid not sleeping? This app for nannies can allow you to avoid such situations. White Noise Ambience is able to play various kinds of ambient sounds, which can put the babies back to sleep, without much effort. Using this app, you can create the right schedule for your children, even when you’re away. This app allows the parent to make a detailed list of activities, making sure that everything is rightly followed. No more worries of missing a sports practice session or doctor’s appointment again. Furthermore, the list can be customized to be color-coded, so that the babysitter does not confuse your son’s schedule with your daughter. With Yelp, standing at the top of the best android apps for babysitter list, you and your babysitter will never have to worry running out of activities. Using your phone’s GPS feature, this app will provide you with a list of things to do around you, with a complete map. Whether it be taking your kid to a park for a stroll or watching a superhero movie together, this app got everything listed for your comfort! UrbanSitter is one of the finest android apps for babysitter for finding babysitters. This app allows the parents to find nannies for their children, from the app’s own social circle, with a few clicks. You can easily browse through list of nearest available babysitters, and check their ratings and recommendations. With this app, you won’t have to browse through the various ads catalog to find the right babysitter anymore. Are you wondering what to serve the child? Dinner Spinner can help parents and babysitters in such dire situations. By simply choosing the main ingredient, type or size of the meal, it will show you a user-approved list of various cuisine. Each of these will come with an image of the dish, nutritional information, clear instruction, user reviews and ingredients list, making the app a top choice for best android apps for baby. Babysitting Pro is one of the most used apps for nannies. It allows the parents and babysitter to monitor progress and activity. Moreover, it allows babysitters to notify parents about the kid’s activities via email or SMS. It can also allow for management of tasks and take note of all completed activities. It also helps you in calculating expenses. Outside on a stroll with a kid? The Toilet Finder is an app that can help you get out of embarrassing situations. Being a babysitter and being unable to find a toilet when outside can turn into a not-so-pleasant experience, but with the Toilet Finder, you can escape this, as it connects you to all the nearby places where you can find the nearest bathroom. This is easily one of the most popular android apps for babysitter. When we talk about best babysitting apps, Baby connect cannot be missed. This app connects both parents and nannies, and provide an intuitive graphic interface, which manages all your activities. It comes equipped with email reminders and alarms. The good ‘ol Skype to your rescue when you need to see your child’s face in between a harsh working day. One of the biggest benefits is that it can instantly connect you and your children’s through your babysitter’s phone or laptop. While there is no substitution for an actual physician, this app can still be relied on when you need to make some immediate medical decisions. Quite frankly one of the most used android apps for babysitter, all you have to do is put in the symptoms, and it will find all possible solutions, treatments or suggest you first aid. 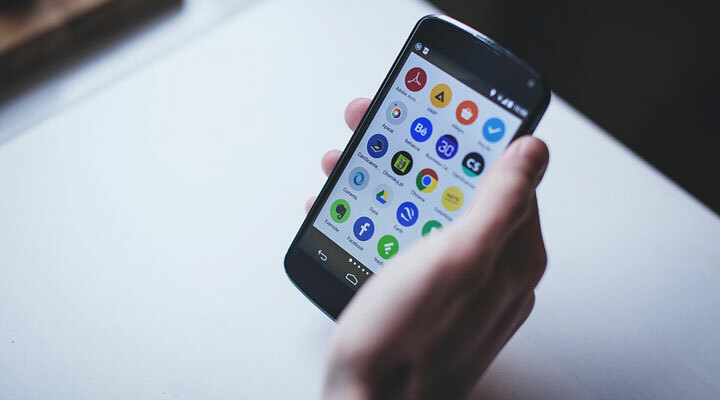 By making use of these android apps for babysitter, you can still connect with your child, while providing instructions to your babysitters about the baby and the schedule. Gone are the days where you had to be physically present to monitor your child’s and the babysitter’s activities. By making use of the right technology at the right time, handling your kid and babysitter simultaneously has never been easier than today!